In this weeks podcast episode#42 we are thrilled to have as our guest, Big Jim Flanagan. 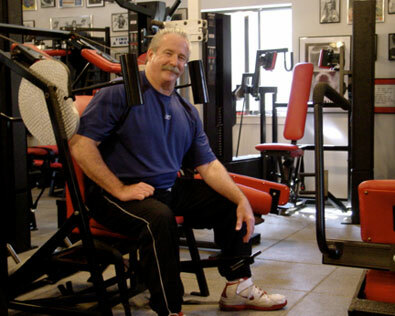 With over 40 years in the Strength, Health and Fitness business, Jim Flanagan has forgotten more about proper strength training than most of us will ever hope to learn. He was a student of the Legendary Strong Man Milo Steinborn. Jim was the General Manager for Nautilus Sports/Medical Exercise Industries from 1973 - 1987. assisted in the Worldwide Sales & Marketing Department of Nautilus under direct supervision of Arthur Jones, Inventor & Founder of Nautilus. From 1987– 2002 Jim was the General Manager & General Sales Manager for Arthur Jones' new company, MedX Corporation. Currently Jim is President of Resistance Solutions, Inc. They specialize in strategic business consulting in the Rehabilitation & Exercise/Fitness Industry for both start-up & existing hospital-based or individual rehabilitation & exercise facilities worldwide. RSI distributes only the "gold standard" in Medical Exercise/Fitness Equipment featuring: MedX - The Leader in Spine Technology Testing, Rehabilitation and Exercise Equipment plus SCIFIT Cardio Rehabilitation & Fitness equipment and a variety of Flooring Solutions including Infinity Performance. High Intensity Training is many things. More importantly, it is not many things that the strength training public assumes it to be. Through the decades, many approaches to “proper” training have been attempted, with most being discarded. Lack of productive gains in muscular size and strength provided the incentive to delete most of these “whiz-bang” principles from the intelligent trainee’s program, while desire for commercial profit led others to seek, and skillfully promote alternative training styles. The latter were, more often than not, as useless as the programs concocted by those sincerely interested in improving the state of the muscle building art and science. The approach to training, which has become known by most as “High Intensity”, has, more than any other methodology, produced controversy, and either devotion or skepticism bordering on fanaticism. Never before has a group of training principles produced such heated and passionate debate. Lost in the rhetoric, is the information necessary for the interested athlete to improve his or her muscular abilities. While high intensity training (HIT) may be many things, it is not an approach to lifting weights, as the muscle building public perceives it, especially those devotees of the various monthly publications that purport to deal with such matters. It is not a training methodology designed by Nautilus inventor Arthur Jones, nor any other one individual. It is not a method of training that necessarily limits the athlete to doing one, and only one set of any particular exercise, nor must it be done only three days per week. It is not, to the exclusion of other concepts, those routines dictated by the writings of Ellington Darden, PhD, or any other one author. It is not a program that limits itself to the use of machines only or any other one, exercise modality. When done correctly, however, HIT is the most efficient and productive means available for increasing the muscular size and strength of the vast majority of athletes interested in being bigger and stronger! 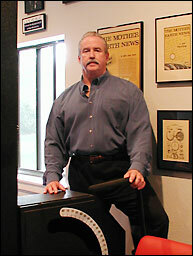 Arthur Jones built his first Nautilus exercise machines offered for sale, in 1970. Those who first saw his contraptions were at once astounded, awed, and totally confused. The development of this “improved barbell” was an immeasurable leap forward, one unfortunately, that left much of the muscle building community behind. The Nautilus phenomenon forced a reeducation of everyone involved in the iron sports, produced a revolution in many personal philosophies, and reshaped the face of the fitness industry internationally. Those machines, which were manufactured between 1970 and 1976, were impressively functional and productive. Although what passed for “research” during those years has since been questioned by many, there is no denying that the equipment was light years ahead of anything that came before it, and much of what has been produced since. When properly utilized, they made it possible for one to reach his or her genetic potential more quickly and efficiently than anything seen previously. While his vastly improved muscle building tools continued to be misused and misunderstood, it remained the keynote change in an industry that had long ago gone stale and turned to hucksterism to boost equipment sales and magazine circulation. 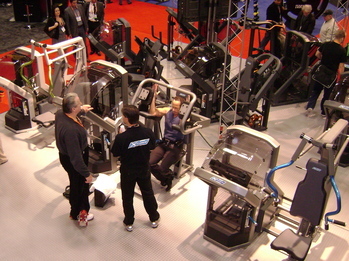 Jones’ training philosophy, to many was as startling as his machines. Despite the fact that he took great pains to indicate that his particular approach to training was not exclusive to him, exclusive to the use of his equipment, or in fact, revolutionary, the bodybuilding / power-lifting public was quick to identify him with what became known as high intensity training. Using barbells, Nautilus, or any other machines, it was Jones’ recommendation that one do as many properly completed repetitions as possible in any one particular set of an exercise, training until the resistance literally could not be moved. He further recommended that one appreciate the effort this would take, and its effect upon the physiology of the human system, and limit any exercise to one and perhaps two sets per workout. Noting the propensity for over-training, he went on to state that two or three workouts per week would be ideal for most. While far from revolutionary, this simple philosophy of basic, all out, gut wrenching training differed markedly from the bomb and blast programs of multiple sets and protracted in-gym time proposed by other voices in the field. Training with basic exercises, using a very limited number of sets per exercise and workout, limiting workouts to two or three per week, and going until one could not lift the bar or resistance arm further, smacked of here-say and was treated with scorn by those already entrenched in positions of influence. Thus, while Arthur Jones almost single handedly revived the lost art of training very hard and productively, he did not “invent” the common sense principles that form the backbone of practical training. It is to his credit that he was always the first to note this to others. Dr. Ellington Darden was employed as director of Research by Nautilus Sports / Medical Industries under Mr. Jones, and after Jones left the company he founded. Dr Darden’s many training books reflecting the philosophy of Jones, present a wealth of useful information that could benefit every reader. Unfortunately, as Dr Darden became closely identified with HIT, and as one of its only spokesman being published on a regular basis, his every word, like those of Jones before him, became to many, the “gospel” of training wisdom. To reiterate, there is no doubt that much of the training information presented by Darden is useful and practical. However, HIT encompasses much more than the words and advice of any one or two men. For example, just because it is written that the proper performance of a repetition consists of a two second elevation of the resistance with a four second return to the starting position, it is not to be assumed that this is the only way, or the only correct way to perform a strength training repetition. Because six of seven presented routines include 14 sets of exercise per workout, as a hypothetical example, this is not to say that 14 sets is the ideal or theoretical construct for a proper training program, and that any more or less is to be considered incorrect. No one person or group of persons has a lock on what is deemed to be proper in our field of endeavor. Therefore, I have often made the statement that strength training is as much art as it is science. Yet, many individuals are insistent upon having “THE ANSWER” to their particular training query, forgetting that there may be more than one answer, or more that one practical answer that can be result producing. A true understanding of HIT principles makes it obvious that Jones and Darden have contributed importantly to the field of strength training for athletics, but indicates further that more than a memorization of their words, or a cook-book copying of their published programs can lead to efficient and productive training. HIT, because of it’s relatively early association with Arthur Jones, Dr. Darden, and Nautilus, will, in the minds of many, forever be linked to training with machines. However, HIT is no more wed to the use of machines only, than it is to these individuals. Any training modality can and should be used in a high intensity manner. Arthur once told me “there are few things more difficult to do in the gym than squats and stiff-legged dead-lifts, if done properly” I could easily amplify that to “there are few things more difficult to do in one’s life than squats and stiff-legged dead-lifts, if done properly!” High intensity principals are just that—principals to be applied to many situations and all training modalities. Interestingly, the individuals involved in the prototype procedures in the early days of Nautilus, those who had input to many machines, shared an interest and enthusiasm for strength that truly led to the development of equipment that was revolutionary and exciting. Gary Jones, Kim Wood, Tom Lputka, Scott LeGear and others built upon Arthur Jones concepts and machines suggestions, to produce strength-training equipment that was very different. Because the early machines were so effective, their coupling to high intensity principals was a natural. But this is not to say that the interested trainee should have ignored the barbell or other available equipment. Unfortunately, the usage of such apparatuses was often misapplied. If Nautilus machines were available, one would often use them for one set of very intense training. If not, they would use barbells and other machines in a “conventional,” multi-set manner. 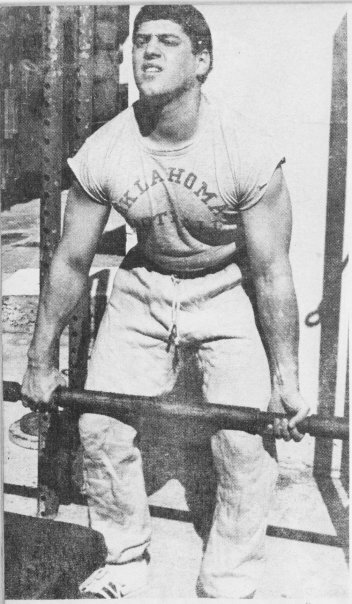 In time, with the proliferation of other machine companies, many trainees continued to adapt the “one-set, all out” method to any and every machine, while doing pyramids, periodization cycling or max singles and doubles with the bar. The discomfort of pushing a set of squats to the absolute limit convinced them that their resolve wasn’t quite what they thought it was. Of course, to others the story goes, “Oh yeah, it wasn’t that tough. I could see where it wasn’t going to work, so I’m back to the real lifting stuff.” The so-called “real stuff” includes three, five or 10 sets of any one exercise done so that it could literally be performed all day long, and with limited results relative to what may have been possible with a more properly performed routine. High intensity training is brief by necessity. One cannot go “all-out” on any movement, saving nothing for the sets to come and expect to do more that one or two productive sets. Of course, if one does, in fact, train like that, only one or two sets per movement are needed to stimulate growth. Furthermore, it is just as obvious that one will not be able to complete a great many sets in any one workout if they train as hard as possible. When I read about suggested high intensity programs that recommend 18 or 20 sets per session, I know darn well that this will not be a truly hard workout–at least not after the first 10 sets or so. Kevin and I usually do six to nine movements–and that includes the “little things” like direct neck work and / or forearms. When I was younger, I often did as many as 12 or 15 sets per session, but rarely more. Even when doing 50% sets– I would limit the program to four to six exercises, being too spent to do much more. Some of our football players can, for short periods of time, make gains with up to 15 sets per session. But this is more often the exception than the rule, particularly if the intensity is high enough to stimulate gains. High intensity training also means that one will often be sore and / or tired for a day or two after each session. If this is the case–and especially where other athletic or skill activities must be completed–rest is of the utmost importance. Hence, the popular tactic of training three-days-on / one-day-off just wont cut it because the recuperation time wont be sufficient to allow any growth that may have been stimulated by the workouts. Certainly one can train three-days-on / one-day-off for a brief time, or four days in a row for three week periods; but consistently, two or three workouts per week will be enough. That is not to say that high intensity training can only be done “every other day,” but generally speaking, the further one strays from this guideline the more sticking points he is likely to encounter. Yes, I’ve watched a few “name” body-builders, with or without dangerous drugs, train “intensely” for a workout that might include 10 sets per body part. Typically what I saw was every set, save perhaps one, being taken to a point where two or more reps could have been made. However, it just wasn’t going to happen due, in part, to the “bodybuilding mentality”–which would require an article, if not a book, to deal with. No, a proper, high intensity program is going all-out, not almost all-out; it is taking each set to ones absolute limit, not almost to the limit; it is using whatever piece of equipment that’s available, not just a machine or a group of machines; it is not the words of two or three men, but a commitment to work as hard as possible while in the gym or weight room…without socializing, resting excessively between sets, or falling prey to the “this isn’t going to work so I’ll copy the star attitude.” Productive and effective training would pull most lifters and bodybuilders out of the rut they have built for themselves — which often lasts for years — leading to unfulfilled dreams and frustration…frustration from an activity which should be joyful. *Originally published in Volume 1, NO. 1 of the High Intensity Training Newsletter (Fall 1988). Reprinted with Permission from Brunswick Corporation. TAKU’s note: This article was written over 30 years ago and is still as relevant as the day it was written. It has remained one of my favorites for years. So, I finally took the time to dig it out (still have the original newsletter) and painstakingly copy it by hand (I am a two finger typist). I hope you enjoy it as much as I do.